Finally, after visited the beautiful 5 provinces, we come back to Seoul again. 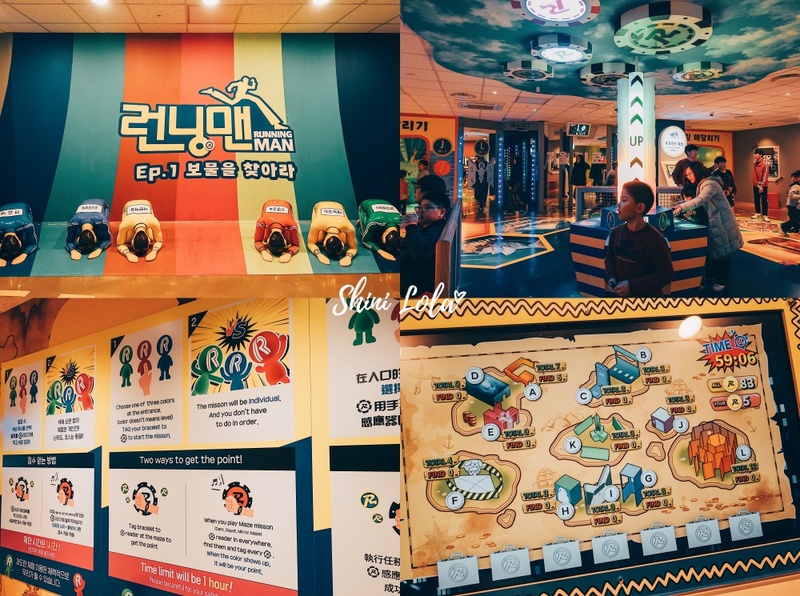 Although this was my third visit to Seoul, I'm excited to visit Running Man Thematic Experience Center, Tea Therapy, SMTOWN Coex Artium, Myeongdong, K-style hub, Cheonggyecheon Stream, Andong Jjimdak and Tosokchon Samgyetang. 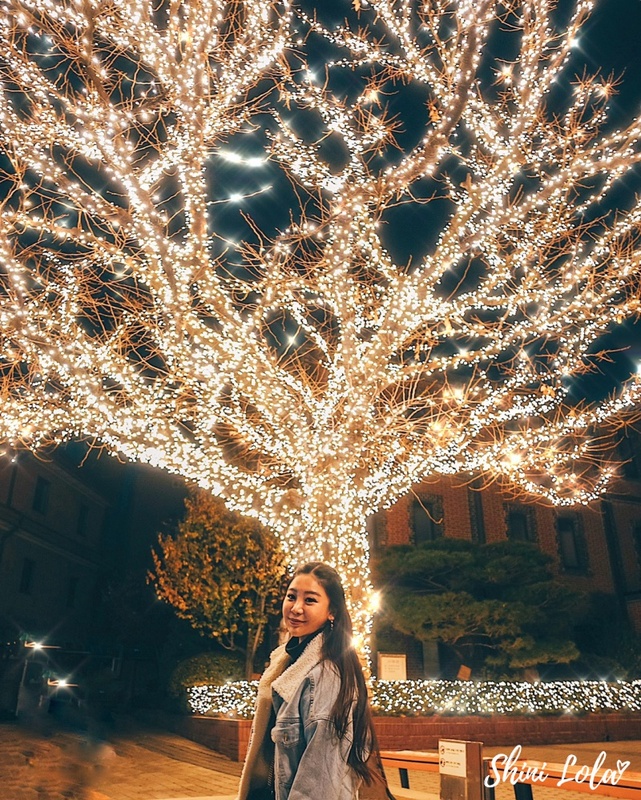 Continue reading to find out more about things to do, food recommendation and hotel in Seoul, South Korea. Like I mentioned in the previous post, we visited during the season between Autumn and Winter. 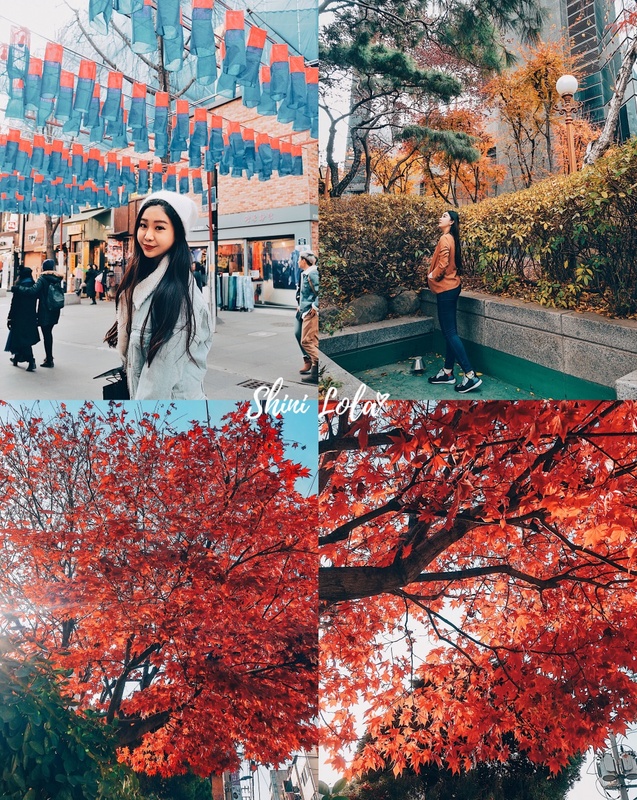 Thus, I'm falling in love with all the colourful trees, just look at the maple leaves! Are you a fan of Running Man? 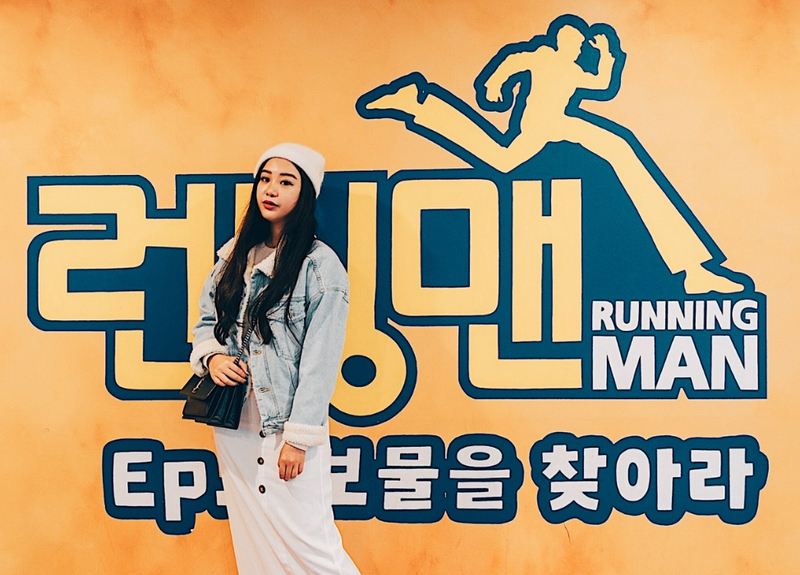 Transport yourself into a popular Korean variety show, Running Man. 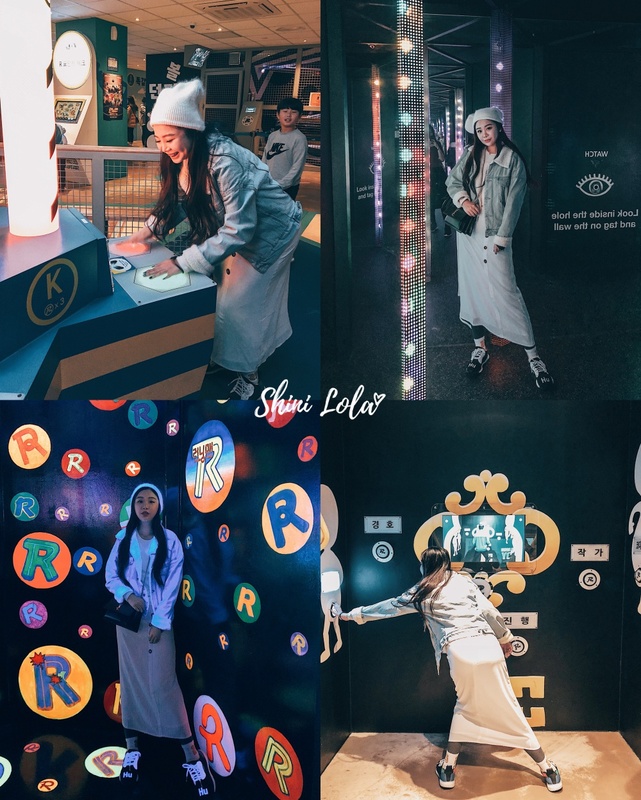 Visit Running Man Thematic Experience Center in Seoul and challenge yourself with the fun obstacles. 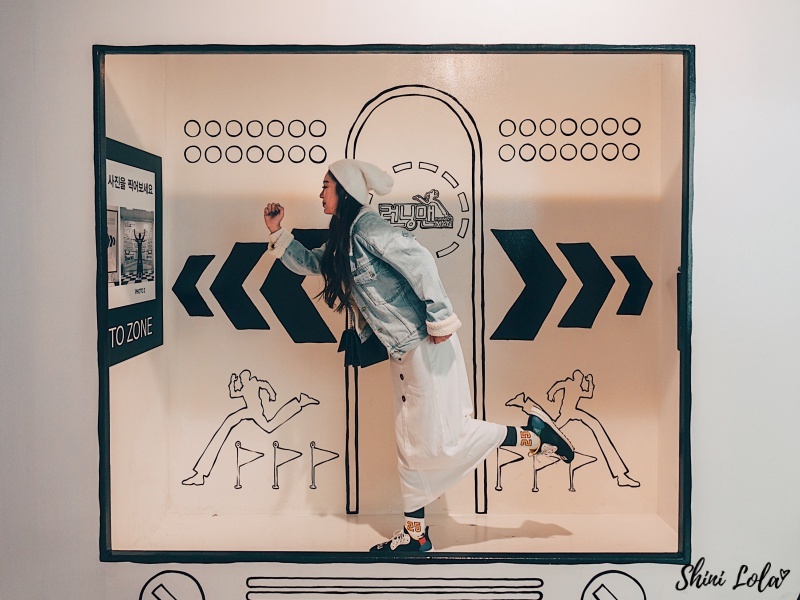 Go on a hilarious adventure at Running Man Thematic Experience Center in Insadong, Seoul. Your mission, if you choose to accept it, is to journey through six zones. You'll be tested physically and mentally with games, obstacles, and puzzles. Collect as many "R coins" as you can on your way to winning it all. Have fun competing with your friends and family. Survive your own Running Man challenge! Collect "R coins" to stake your claim as Running Man. I played all the games except for the screaming one because I don't want to lose my voice. Address : South Korea, Seoul, Jongno-gu, Insadong 5-gil. 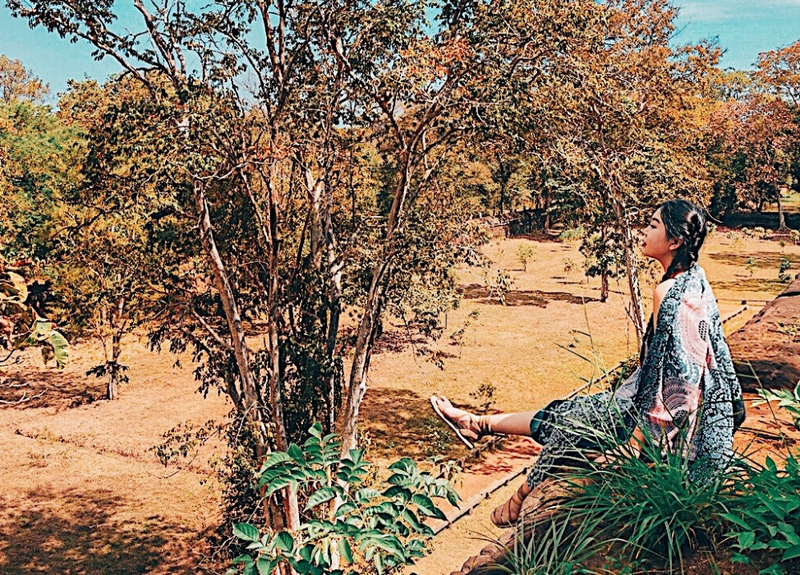 Blurring the conventional realms of the health centre and cafe, Tea Therapy is the brainchild of its owner’s philosophy—making his professional craft even more accessible to the masses through teas and diets. The owner is a certified Oriental medicine doctor. Drawing from traditional herbs, he focuses on the ingredients but also on the flavour and aroma while creating his own brews. One of the most popular teas, the Weight Loss blend, combines the zingy scent of dried tangerine peel with the toasty notes of buckwheat, while the Stress-Free blend imparts the refreshing scent of mint. The curry and tea combo item is priced at 13,500 won. Various brunch items are available. Patrons are free to use the foot baths outside the cafe. There are 3 basins where you can soak your feet in either hot or cold water. Now you can enjoy your cup of tea at a hip and modern hot spot in the city! 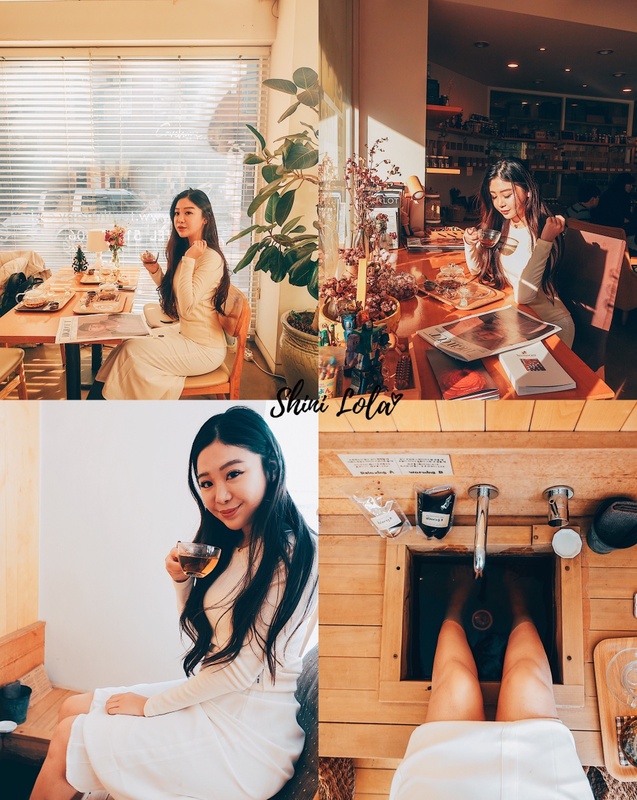 Turning away from the conventional concept of a tea shop, Tea Therapy offers not only healthy tricks for home-brewed teas but also a relaxing foot bath experience. The shop aired on KBS's "Muhanjidae Q" due to its interior design and unique programs available where visitors can enjoy a tasty cup of tea but also rejuvenate by meditating, consulting with a professional dietitian, trying blending their own tea and more. 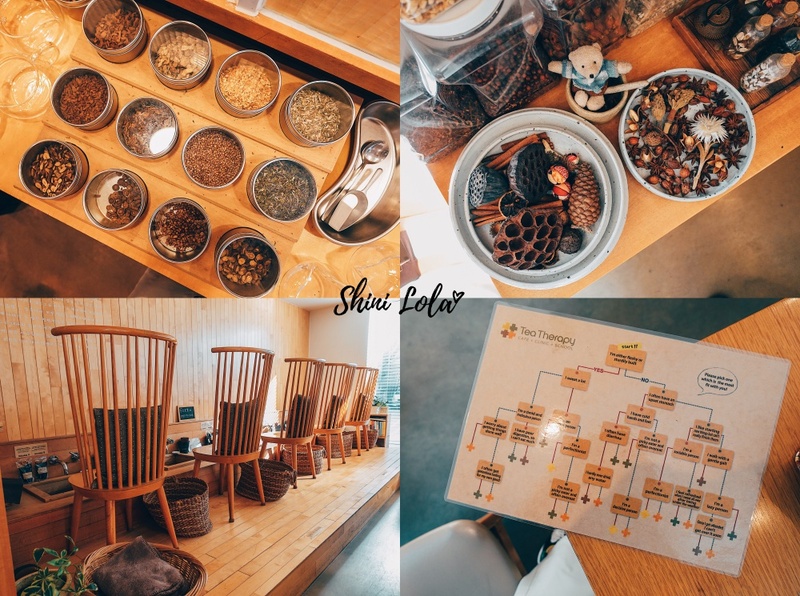 The tea selections and dessert menu items are plentiful, providing international visitors with a chance to become easily acquainted with Korea's tea culture. Koreans have enjoyed herbal tea for a long time, from barley to corn and boxthorn and Solomon's seal. At Tea Therapy, you get to comfortably try traditional teas that need only hot water and three minutes of time. All the ingredients that go into the teas are prepared in-house. If you don't know which of the various tea flavours to choose, try the simple test at Tea Therapy. There are different tea types that will suit you depending on whether you are a heavy person, how you walk or what your digestion is like. Every tea has its own description. What I've got was "You tend to be very determined and stubborn. You are always in the position leaded people so that you are easy to be tensed up." The Type A foot bath products are effective for stressed eyes and headaches, and the Type B foot bath products are for if you feel heavy and poor circulation. Tea Therapy also offers a tea class to those interested. The topics include “tea therapy for stress” or “tea good for women” and are easy to comprehend. They include informative stories and a tea tasting. For example, “tea therapy for stress” talks about 10 different ingredients that reduce stress, such as mint, betony, tangerine peel and chrysanthemum. The class ends with a tea tasting. It is an opportunity to approach tea more easily and in a fun way. 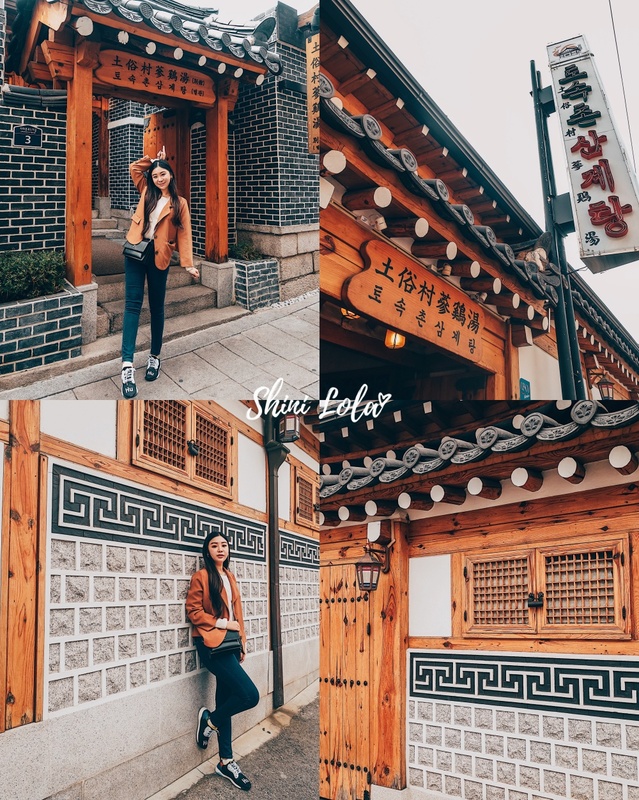 I personally think it is a great idea to put it into your itinerary when you're visiting Seoul. After walked a lot, you can just drop by here for relaxing. Especially in cold weather like this, foot bath is the best therapy for you! Address : 16, Eonju-ro 173-gil, Gangnam-gu, Seoul. How to get there : (Subway) Apgujeong Station 압구정역 (Line 3), Exit 2. If you are a K-pop fan, it is impossible not to know SM Entertainment’s culture complex space, SMTOWN at Coex Artium. 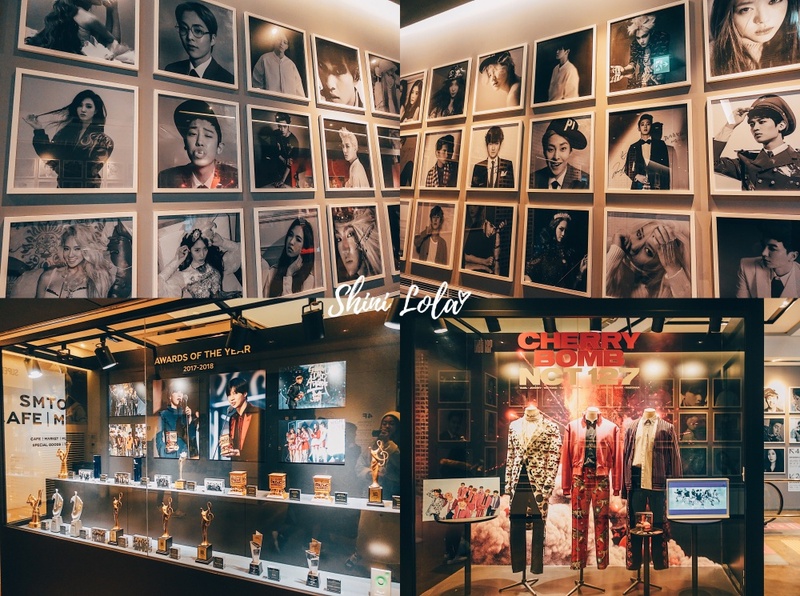 The venue has become more popular after the opening of the SMTOWN Museum and SMTOWN External Media, an ultra-high resolution sign that was installed in May 2018. 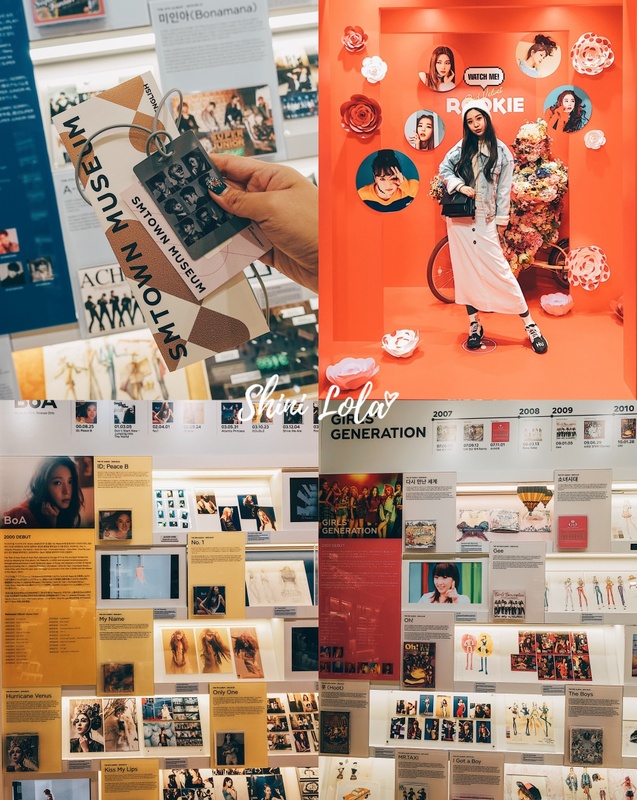 SMTOWN Museum, located on the third floor, is the first venue where the stories related to the birth and growth of SM Entertainment’s artists are displayed. The museum includes various exhibitions, including SM ARCHIVE, SPECIAL EXHIBITION, and ARTIST GALLERY, all of which are related to music albums, stage photos, outfits and accessories, and behind the scenes stories. In addition, the venue offers unique experiences and excitement, such as the SM content-creating tour, where imaginary meetings with SM artists utilizing augmented reality or virtual reality take place. Meanwhile, SMTOWN External Media is the biggest display in Korea, with a size of four basketball courts. This is why it is also called the Times Square of Korea. K-pop music videos along with the real-time multi live broadcasting channel, “!tLive,” are aired on the screen. To be honest, I'm not really a K-pop fan. The only Kpop idol that I knew here was BoA. I used to listen to her song and learn her dancing moves. Anyway, it was really a great experience for me to explore more about these K-pop artists. They're all so talented! The biggest hologram theatre in Korea is on the fifth and sixth floors, which showcases mostly SM artists’ concert videos. Furthermore, sometimes guests can watch concerts that have not been released on DVD yet. Please check the schedule for further details! To top it all off, there is a gift shop (2F) with memorabilia that artists actually wore or picked, a café, and a market (4F) where products with SM artists’ images are sold. Address : 06164 513, Yeongdong-daero, Gangnam-gu, Seoul, Korea. How to get there : (Subway) Samsung Station exits 5 and 6, line 2. Myeong-dong is one of the primary shopping districts in Seoul. The two main streets meet in the centre of the block with one beginning from Myeong-dong Subway Station (Seoul Subway Line No. 4) and the other from Lotte Department Store at Euljiro. Many brand name shops and department stores line the streets and alleys. Common products for sale include clothes, shoes, and accessories. Unlike Namdaemun or Dongdaemun, many designer brands are sold in Myeong-dong. In addition, several major department stores have branches here, including Lotte Department Store, Shinsegae Department Store, Myeong-dong Migliore, Noon Square and M Plaza. The department stores carry many premium labels and other fashionable goods at reasonable prices. Myeong-dong also has family restaurants, fast food, plus Korean, Western and Japanese dining options. Many restaurants in Myeong-dong specialize in dongaseu (pork cutlet) and kalguksu (noodle soup). Other businesses in the area include hair salons, banks and theatres. Address : Myeongdong-gil, Jung-gu, Seoul. Euljiro 1(il)-ga Station (Seoul Subway Line 2), Exits 5, 6 & 7. Myeong-dong Station (Seoul Subway Line 4), Exits 5, 6, 7 & 8. Myeong-dong Cathedral is located in downtown Seoul and tourists frequently come and visit the place. 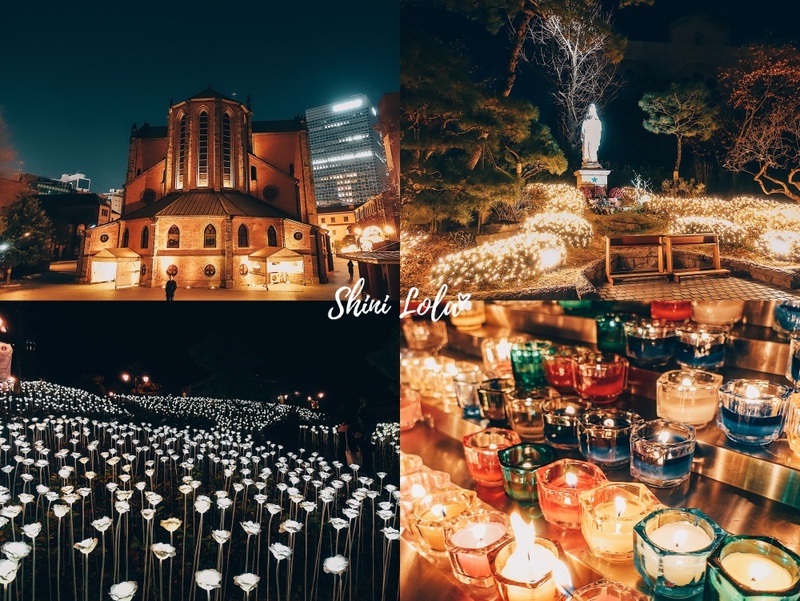 Near the cathedral are other tourist spots such as Namsangol Hanok Village preserving Korean traditional houses, N Seoul Tower overlooking Seoul and Namdaemun Market, a traditional market with a wide variety of food and goods. Coincidentally, they have these light decoration for Christmas season. It was so pretty and of course, I need to take a photo with it. I have been to Myeongdong for three times but I never spot/visit this beautiful church yet. Feel thankul that my Korean friend brough me here. Thanks for bringing me around and the treat for my drinks. The hot chocolate was so edible! I'm looking forward to seeing you both very soon. We actually met 3 years ago and can't believe we meet again after that. K-Style Hub has the information to meet all tourists' needs, from a tourist information centre to a Hallyu experience, hansik exhibition and experience hall, medical tourism information and more. 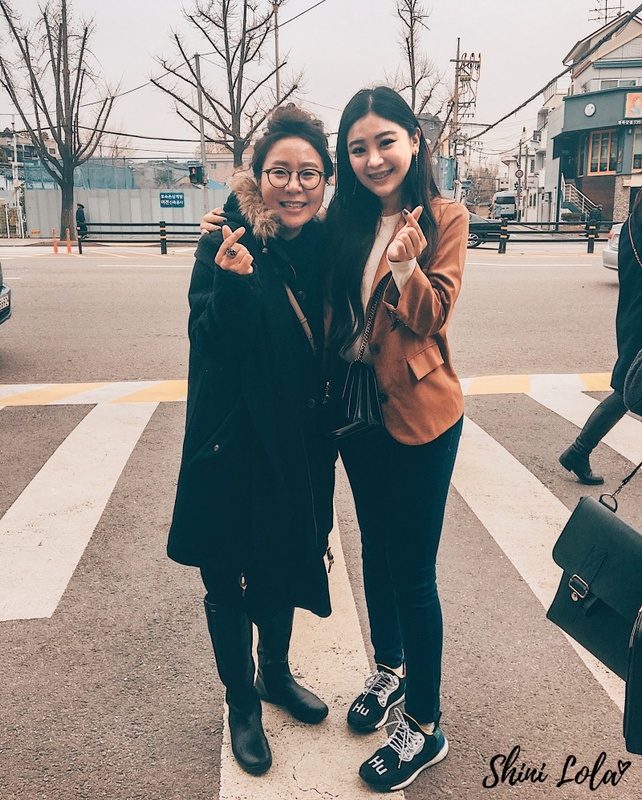 Expounding upon the centre of just providing information, K-Style Hub also aims to provide various chances to learn about Korean culture and food, as well as easily participate in traditional experiences. When we had arrived, we were taught how to make delicious Korean rice cake. There was a translator beside her so we can clearly understand the instructions. It might look easy by just looking at her when she is demonstrating. However, when I'm actually started doing it, it's not that easy as you think as we need to focus on the details. So I had teamed up with Charlene and the photo shown above are our final products. Ta-da! How do you guys? Looking pretty huh? It does not just look good but taste good too! I guess I can be the good wife material. HAHAHA. If you're interestd to learn some of the Korean dishes, don't forget to drop by. Address : 40, Cheonggyecheon-ro, Jung-gu, Seoul. It was my second time here. My last visit was in 2015 and that time was Winter season. However, it is still freaking cold for my second visit! I'm actually wearing an ordinary blazer that I will wear in Malaysia and the weather on that day was 11-degree celsius. Address : Taepyeong-ro 1-ga, Jung-gu, Seoul. 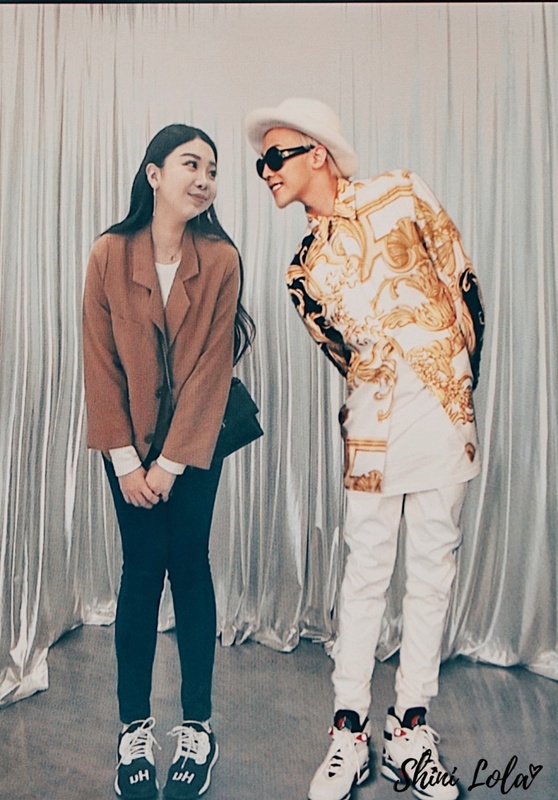 How can I miss the chance to have a photo with G-dragon, the member of BIG BANG. Unlike the usual tourist information centres, there have so many things to try. Too bad we only drop by here for a while. Address : 2F, K-Style Hub, 40, Cheonggyecheon-ro, Jung-gu, Seoul. A photo with our tour guide - Jennifer! Thanks for taking care of us during the entire trip. You're being so helpful, friendly, understanding and sweet! Looking forward to seeing you next time. We got to try the popular Andong Jjimdak! A convivial young crowd comes here for the jjimdak experience, a very spicy concoction of chicken, noodles, potatoes and vegetables that comes on a platter meant for sharing. Andong jjimdak is a chicken dish mixed with vegetables marinated in a ganjang Korean soy sauce based sauce, originated from Andong City. The name literally means “Andong’s steamed chicken. Address : 59-20 Myeongdong 1(il)-ga, Jung-gu, Seoul, South Korea. How can we miss the popular Tosokchon samgyetang! 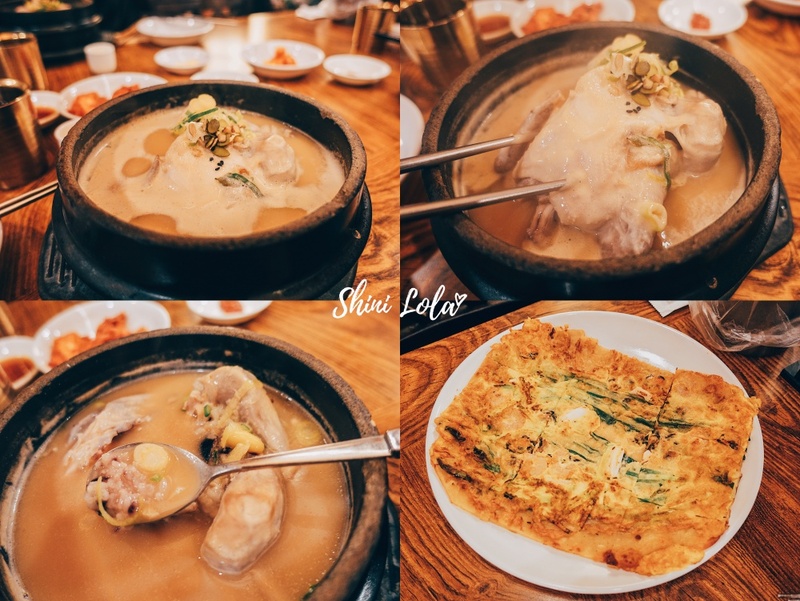 Located near Gyeongbokgung Station, the restaurant was also frequented by late President Roh Moo-hyun. It produces their ingredients like Tojongdak (Korean chicken), 4-years ginseng, chestnut, jujube, garlic, ginger, adlay, perilla seeds, pumpkin seeds, sunflower seed, nuts, pine nut, black sesame, and etc. Even though one has to wait to enter during lunchtime, do not worry about the long wait as the restaurant is spacious. Besides Samgyetang (ginseng chicken soup), it serves Ogol-samgyetang, otdak, pajeon (green onion pancake), Rotisserie chicken, and other menus. My second visit here and I still personally think it is the BEST samgyetang that I ever ate! I'm not a big eater but I can finish the whole bowl of soup. Oh my god, you can imagine that. Address : 5 Jahamun-ro 5-gil, Chebu-dong, Jongno-gu, Seoul, South Korea. Introducing the BEST buffet in Insadong - Season's Table. 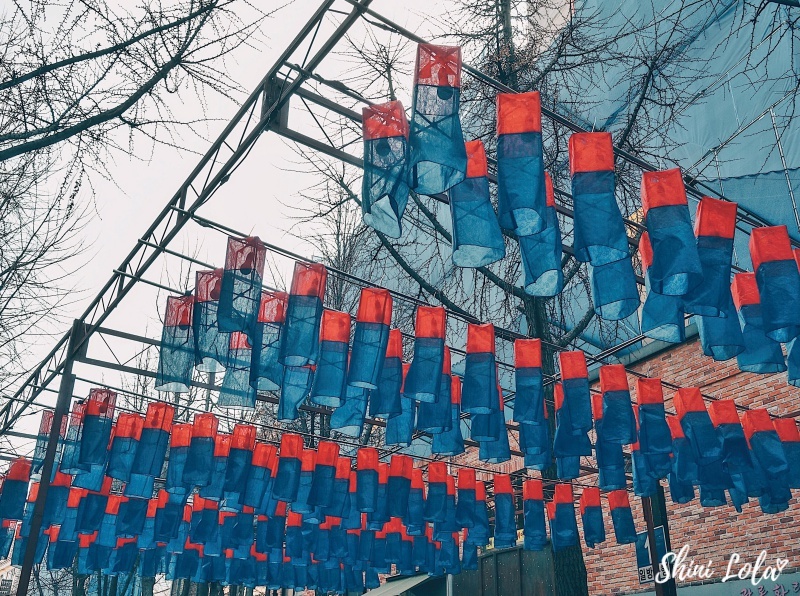 If you're planning to visit Insadong, don't forget to visit this cuisine. They have a variety of foods and they are delicious! Sorry for not taking many photos as I only concentrate on the food. They always full booking so make sure you make a reservation before your visit. Address : 35-4 Insadong-gil, Gwanhun-dong, Jongno-gu, Seoul, South Korea. 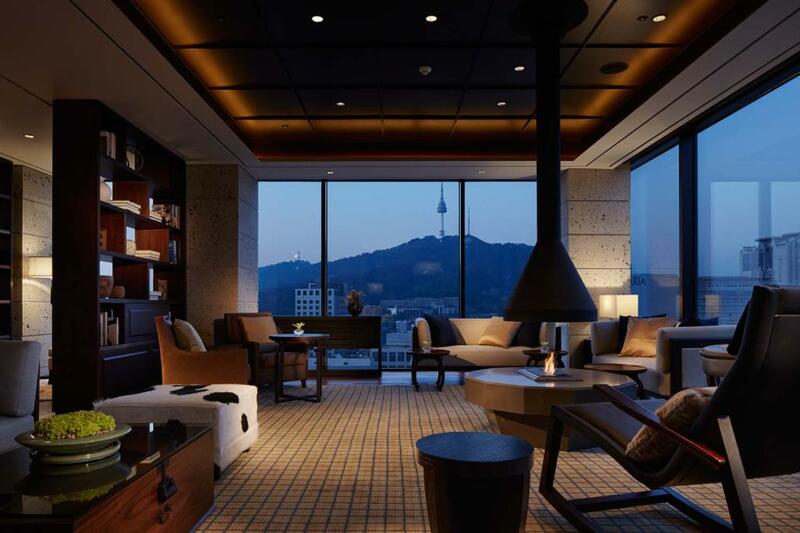 Seoul Royal Hotel, nicknamed 'Oasis in the City,' is located in central Seoul in the famous Myeongdong area. It has 300 rooms, banquet halls and several dining facilities. The hotel's location, in particular, is ideal for shopping and also travelling to other parts of the city by public transportation. Address : 61, Myeongdong-gil, Jung-gu, Seoul. * The room rate is the lowest price for this accommodation. Rates may vary according to the season, room type and whether or not guests are entitled to discount rates. Please make sure to check the exact rate in advance before making your reservations. The room rate listed above is subject to change. i really wanna go visit during autumn!! serious cantik sangat. i love how colorful the trees are. good vibes feeling though.